Less than two kilometers from the heart of Bangkok, you will find the semi-rural “green lung of Bangkok” surrounded by mango palms and lamphu trees. 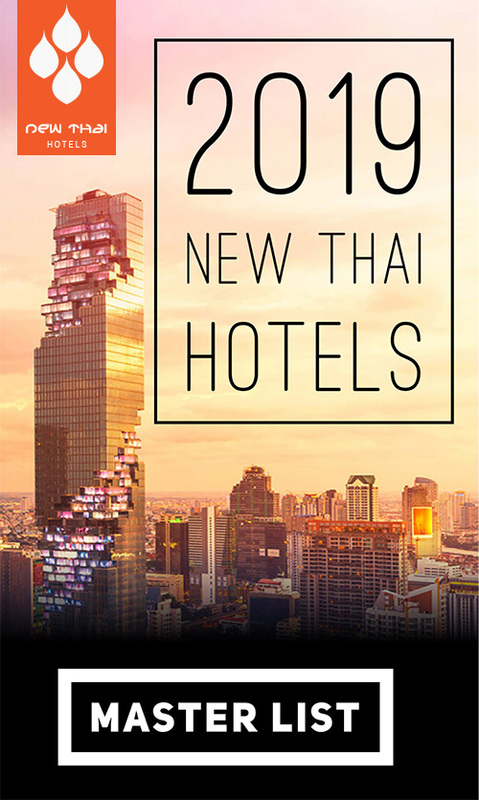 It may be hard to believe, but travel less than two kilometers from the bustling heart of Bangkok, across the muddy river waters of the Chao Phraya River, and you are in the semi-rural “green lung of Bangkok” surrounded by mango palms and lamphu trees. It is in this setting that the highly anticipated, all-green, 12 suite Bangkok Tree House makes it’s debut in January 2012. Originally scheduled to open in November 2011, the recent floods that devastated Thailand have delayed the opening by a few weeks. Owner Joey Tulyanond envisioned and built Bangkok Tree House to be more than carbon neutral. They promise to clean up one kilo of trash from the Chao Phraya River for every booking made. Each standard suite is divided into three levels (living room, bedroom and roof deck), offering views of the surrounding river, mangroves and coconut plantations. Inside, the rooms are comfortable and cozy, all with modern conviences such as TV, DVD player, Wi-Fi, and optional air-conditioning. 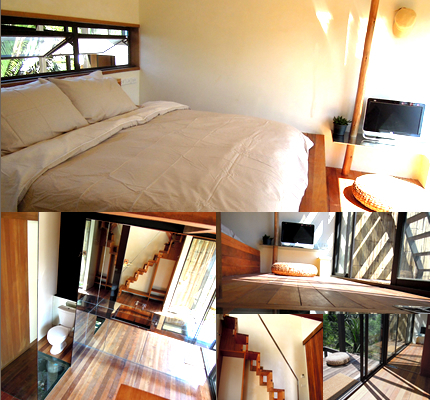 There are four room types at Bangkok Tree House. Honeymoon Nest 1 king bed & 1 single sized bed. Max 3 people. USD179, USD215 high. Tree House 1 king sized “flying bed”. Max 2 people. USD215, USD250 high. Family Nest 1 king & 1 queen bed. Max 4 people. USD285, USD32o high. * Regular season is Feb 1st to Nov 30. High season is Dec 1 to Jan 31. 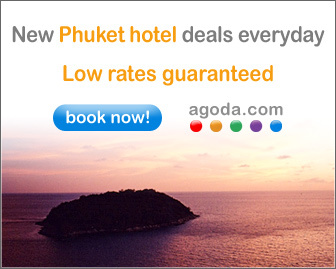 Even though the hotel is due to open in the middle of the peak season, regular rates will apply until December 1st 2012. Nearby attraction include the Bang Namphueng Floating Markets, which is just 10 minutes by bicycle (Bangkok Tree House provides bicycles for guest use for free), and Si Nakhon Khuean Khan Botanical Park (20 minutes by bicycle). This entry was posted on Friday, December 9th, 2011 at 1:16 pm and is filed under Openings. You can follow any responses to this entry through the RSS 2.0 feed. You can leave a response, or trackback from your own site. Collecting one kilo of trash per booking makes you carbon neutral?! You seriously need an education on the subject. What about all the steel and concrete used? The air conditioners? Water heaters? The water-wasting rain-shower heads? Where does the waste water go? What about all the greenery cut down on the building site? Why were you even allowed to build outside the seawall? The vegetation you cut down protects the bank of the Chao Phraya from erosion. Thanks for your comment, and apologies for the misunderstanding. The Bangkok Tree House is not carbon neutral, we do not pay to offset our carbon footprint as the market in Thailand is still very young – i.e. no independent organization to monitor these carbon offset businesses. Moreover, we do not claim to be carbon neutral in any of our publications and will ask the author to remove the reference so as not to create a misunderstanding. However, we try our best to lessen our impact such as using alternative energy (wind and solar) for our external night lighting, green walls and roofs, the smallest and most efficient A/Cs (9,000 btu), tree planting programs etc. No business can be 100% green, but we are doing our best to lessen our impact and make a positive change in our community. Joey, you are the man! Don’t listen to haters like this idiot! The fact that you are even willing to do something for the environment is commendable. People unfortunately need to complain about something! Not to mention that you are bringing people closer to nature. Your hotel is a breath of fresh air to the world. I wish you the best of luck and cannot wait to stay at your hotel!